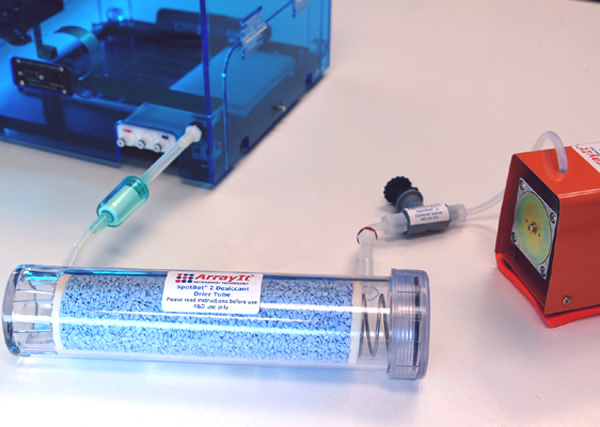 Arrayit's SpotBot® Personal Microarrayers provides the finest and most widely used desktop microarray printing systems at an affordable price. The dehumidification option allows users to reduce the relative humidity inside the instrument from ambient to less than 10% relative humidity with +-1% accuracy. The DSPA allows humidity control during platen cooling and is highly recommended for all SpotBot® Protein Edition Microarrayers.